We’ve known about the UX21A and it’s larger sibling, the UX31A, for a while now, but we’ve heard no mention of a touchscreen. 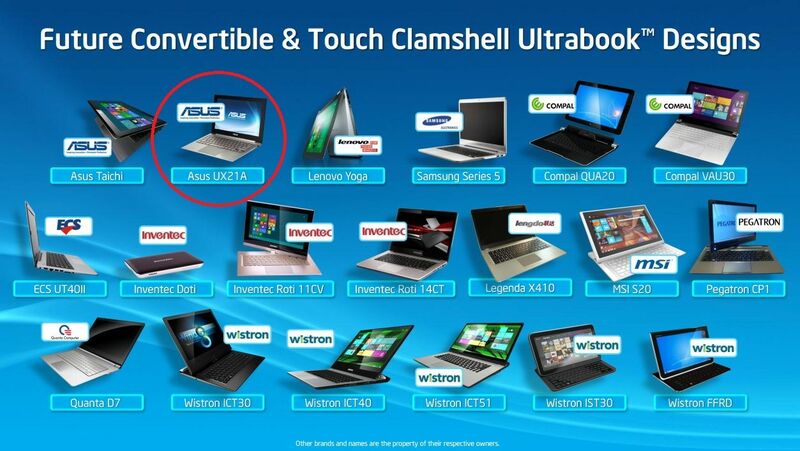 That didn’t stop Intel from putting the UX21A right next to the Asus TaiChi (a confirmed touchscreen Ultrabook) on their keynote slide in the ‘Future Convertible & Touch Clamshell Ultrabook Designs’ section. 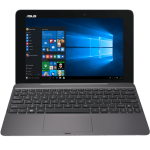 It’s quite possible that this was a mistake and the Ultrabook that was intended to be in the UX21A’s slot is the Asus Trasformer Book, but to mixing up both the image and the name is a mistake not easily made. 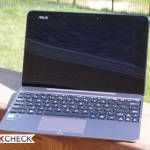 We’ve got word out to Asus for verification. 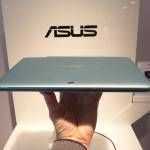 Update: Just got word from Asus that this was not a mistake — apparently some of the Zenbooks will feature a touchscreen. Unclear at this point which models it will be available on and whether or not it’s optional. Its no mistake! 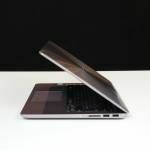 There is an article and video of the touch version on The Verge. Mmmh, i’ll buy the UX31a so we’ll see. 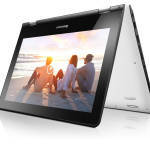 But if you want a touchscreen then buy the Transformer.. I don’t really see the utility here, for me at least. With a keyboard it’s quite hard to use the touchscreen I think. Yeah, at least to me, the touchscreen on a normal clamshell doesn’t quite make sense. It’s simply not convenient to use the screen when you have to stretch out over the keys – at least not when you got a touchpad and possibly a mouse right there. I much prefer the Transformer Book format to this. I disagree. When you get used to touchscreen devices, naturally everything feels like its touch-capable. 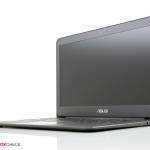 When I use my Viliv S5 for a while, then go see other laptops, I touch the screen, to my disappointment. The thing is its not the ONLY option for interacting with the device. It’s all about the Windows Market apps, there WILL be apps that run better with touchscreen for Windows 8 (think something like cut the rope), and if you buy an ultrabook without touchscreen now, you may very well regret the purchase a few months later.